Somehow, for some reason, some things just get old after teaching them a few times! If I ever get to feeling this way I usually will try to perk it up a bit with a new resource or a new approach! 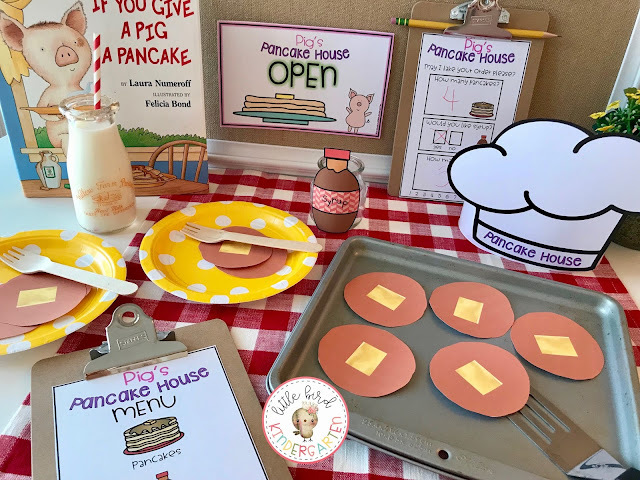 At any rate, when I do it always seems to come out on the great end for kids anyway since they love the activities and it makes it a deeper learning experience for them! 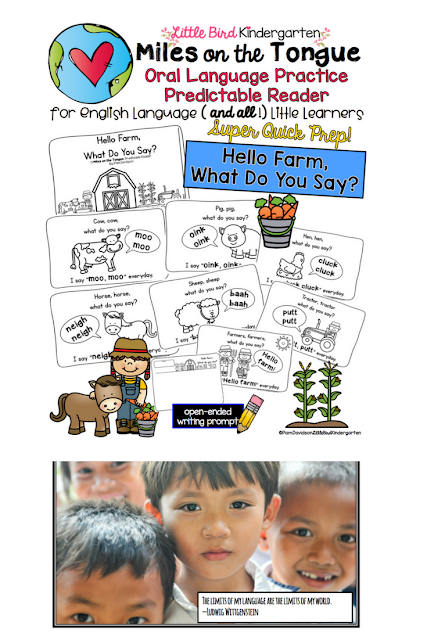 There are SO many great classroom titles to use when teaching about Farm... and by the way, honestly teaching the farm theme never gets old for me! I love it. Maybe it's my farm girl roots, or my love for Fixer Upper or anything chippy, cute or born on a farm! 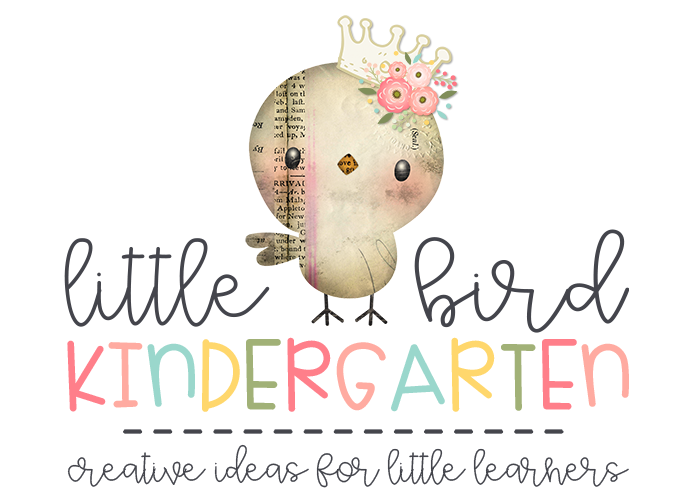 It lends itself to so many fun classroom activities and centers! I love getting out the farm animals and putting them in the block center, and seeing all of the creative ways the littles build their pens, etc. Creating a sensory lab or station with corn, beans, some little farm animals and craft sticks makes for some wonderful imaginative play! 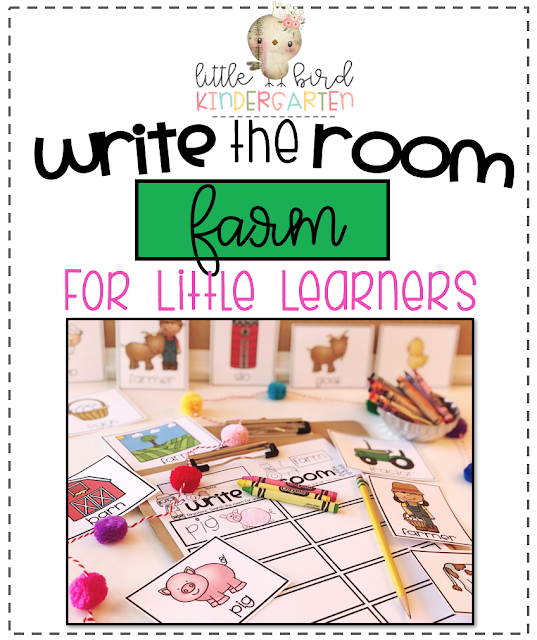 Another fun activity for a farm unit is Write the Room! 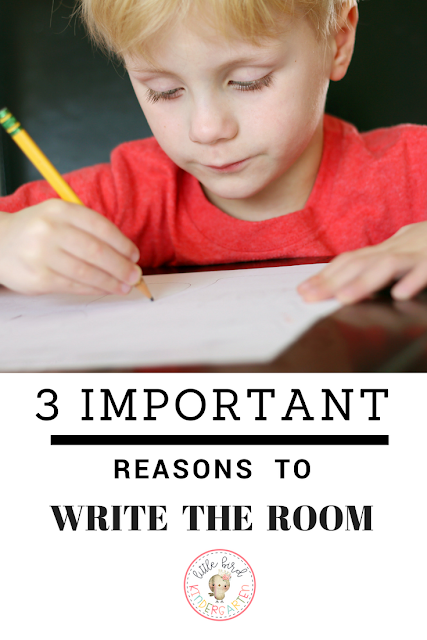 There are sooo many amazing reasons to write the room! Do you do it in your classroom? 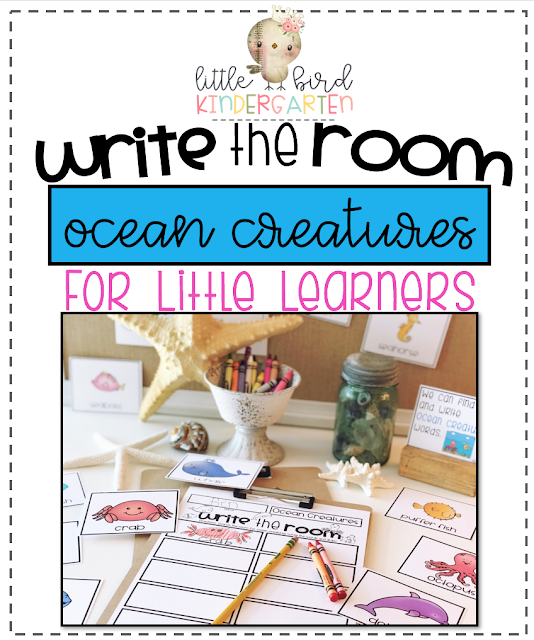 Write the Room is one of my go to centers for each theme! I love how they get so good at it and when the theme changes they go to town on the new cards! I also love how they use the words in their everyday writing! They remember where in the room the cards are and love recalling them to use! 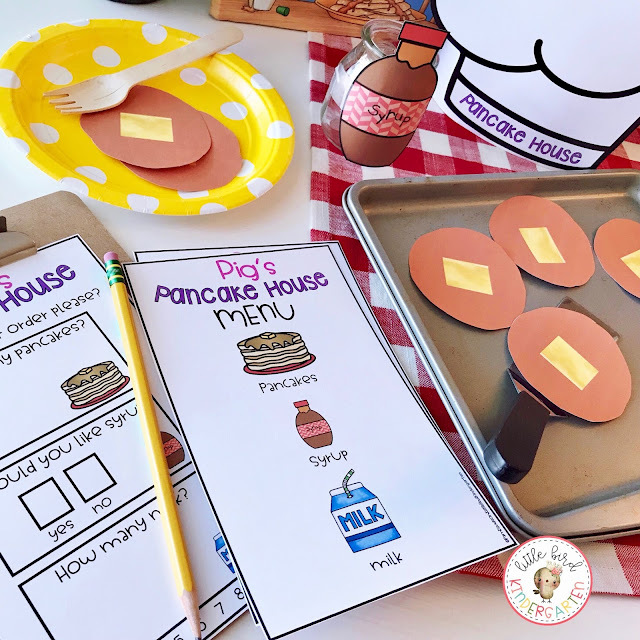 It's so quick and easy to print the cards, cut and place them around the room. 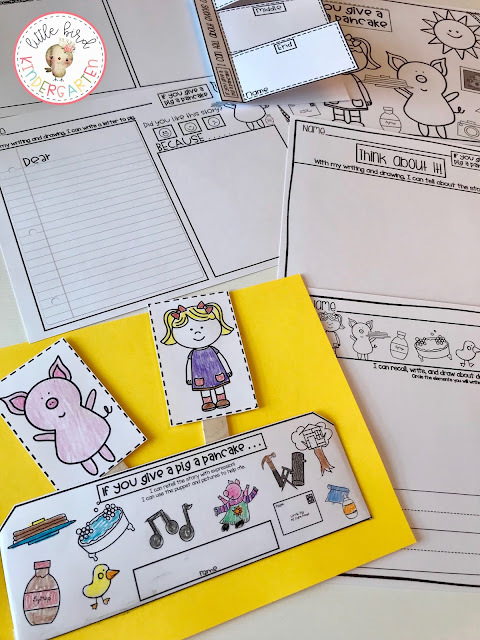 All you need is clip boards, pencils and copies of the response pages! 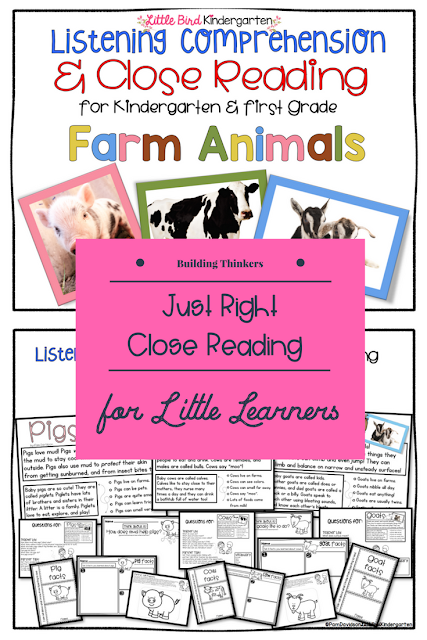 of my other close reading resources, are original and especially written for little learners. 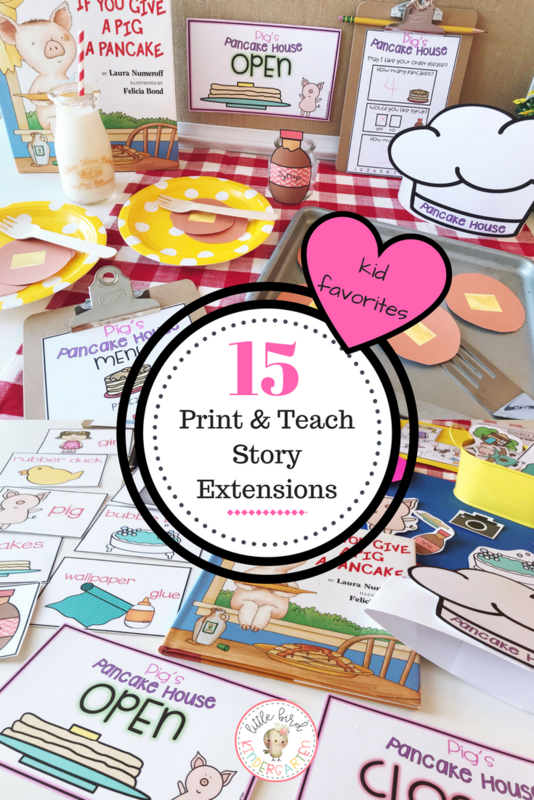 They are packed with vocabulary and literacy skills that build thinkers! Check back often, I have more farm activities in the works and can't wait to share them with you soon! BIG FAN of Laura Numeroff & Felicia Bond! I mean really big! I LOVE their books so much! SO much that I decided we need more of them in our lives!! 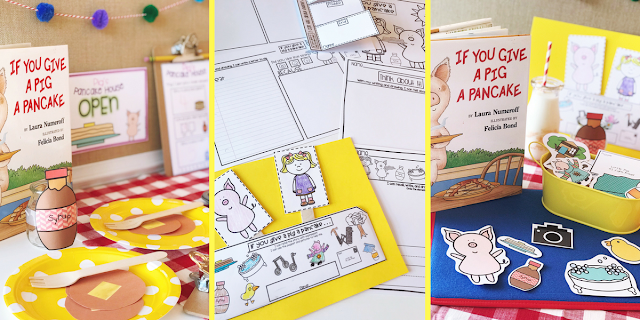 Designing and creating companion activities to go with books is how I got my start and what I most love to do! Making the book go further, extending it and squeezing out every possible opportunity of learning and fun in the classroom is my goal! 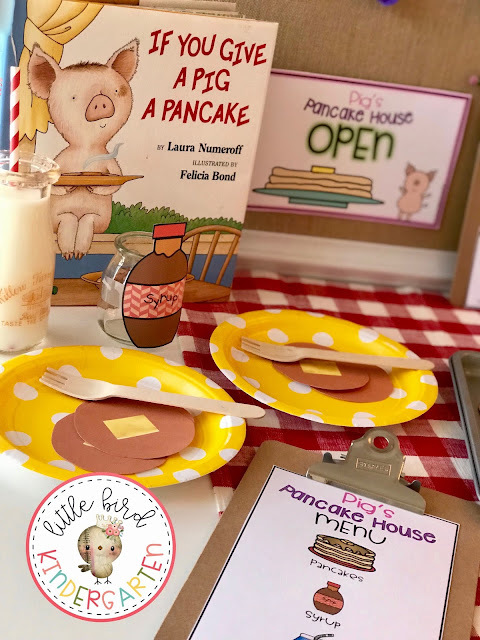 I LOVE that when you do book extensions the books become part of your classroom in a way that just reading them can't. 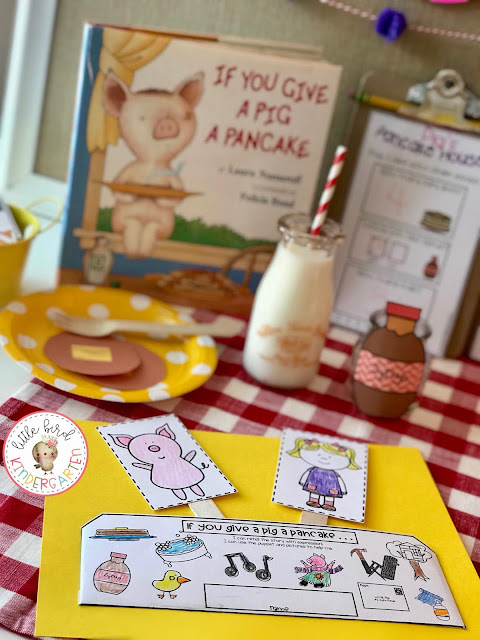 I LOVE that the books become like old friends... our experiences with them beg to be remembered later on... "Remember when we..."
Integrating so many parts of our day using the activities in different contexts and content areas just makes for a much more rich and engaging experience! 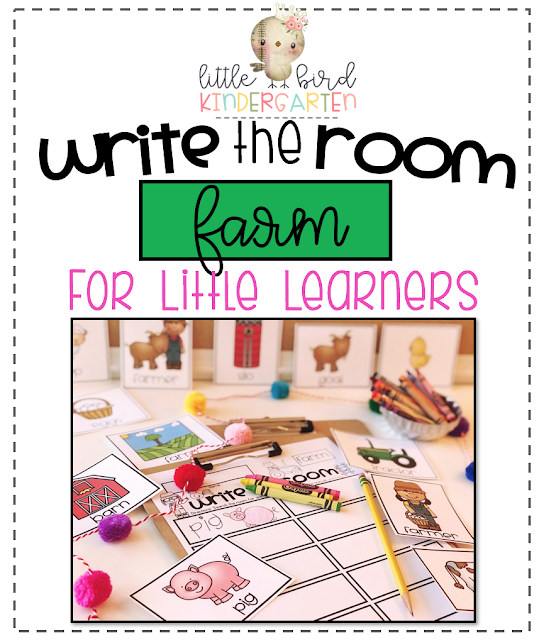 I have LOVED working on this resource! I love taking a book that I've had for a long, long time, and breathing new life into interacting with it! 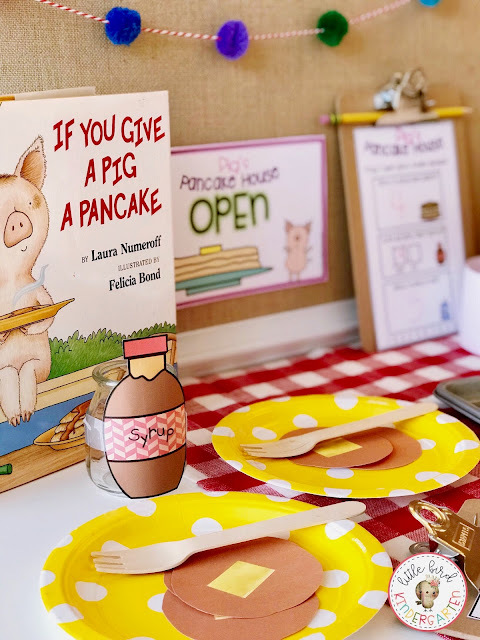 If you have this book and you are looking for a companion, I bet you and your kids will LOVE it too! 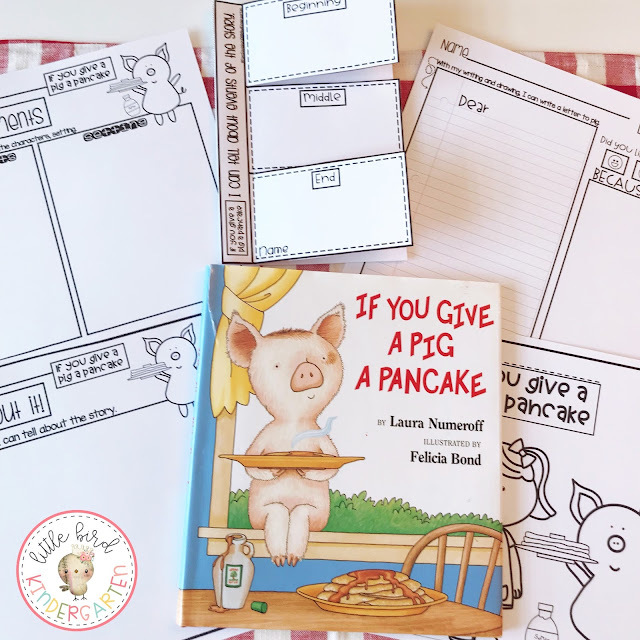 It might just seem like a fun and easy way to insert your theme into centers, but it is SO much more! 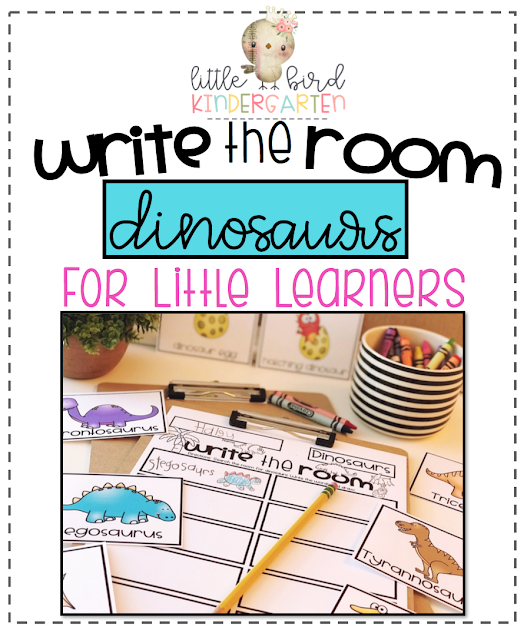 a powerful punch of academics and fine motor skills wrapped up into one neat little package! (cvc etc.) name writing, numbers etc. see how to make them? I would presume it's much like that for many of our littles! speaking and listening. Ya, I like it. can provide academic perks as well! 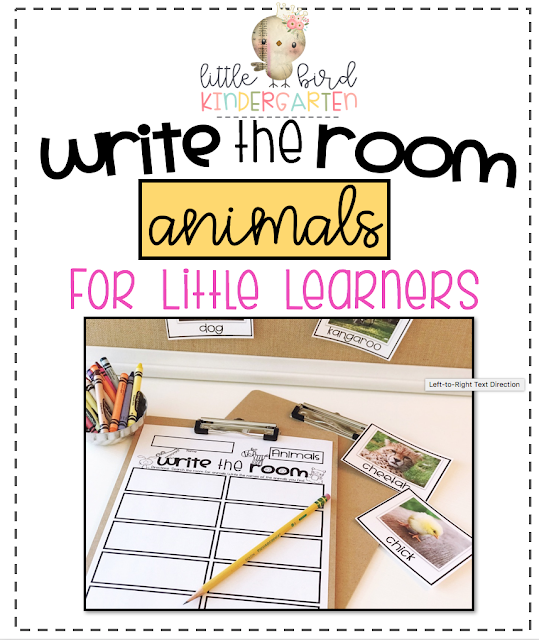 I have always loved providing write the room opportunities and I include write the room in nearly all of my resources, even my close reading resources have write the room included for each passage! I have had lots of requests to make more stand alone write the rooms, so I've been adding a few here and there! If you've never tried it with your class, I hope you will! Let me know how it goes! If you need help getting started, here are some simple resources to get you going! Click on the pictures for the links!